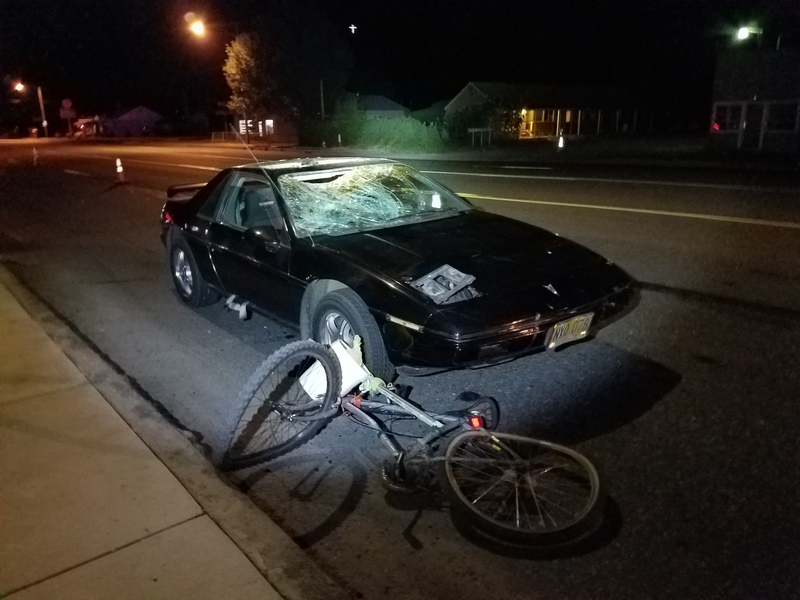 Oregon State Police (OSP) Troopers and emergency personnel responded to the report of a passenger car versus bicycle collision on State Route 58, at milepost 34 in Oakridge. On August 13, 2017, at about 9:38 p.m., a black 1984 Pontiac Fiero, operated by Stephen Bradley HERRICK, age 57, of Westfir, was traveling eastbound on State Route 58 at milepost 34, when a male bicyclist crossed the roadway in a southbound direction and in the path of the Fiero. The bicyclist sustained major injuries and was transported to River Bend Hospital by Oakridge Fire and EMS. He was pronounced deceased shortly after arrival. One of the eastbound lanes of the highway was blocked for approximately four hours while the on-scene investigation was being conducted. Preliminary information indicates that the bicyclist was not wearing a helmet and the bicycle did not have any lighting. Efforts are still ongoing to notify next of kin of the deceased. The Oregon State Police is the lead investigating agency and is being assisted by Oakridge Fire and EMS, Oakridge Police Department and the Oregon Department of Transportation. This in an ongoing investigation and more information will be released when it becomes available. Oakridge might be one of the premiere mountain biking destinations in the country; but did you know that there’s also lots of fun to be had on a road bike in that neck of the woods? 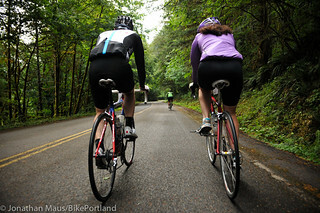 On Saturday, I joined about 100 other lucky riders for the first-ever Tour of Aufderheide, an event that took full advantage of one of the most spectacular roads in Oregon – Aufderheide Forest Drive. 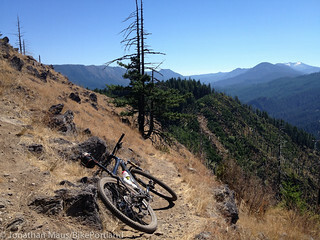 Just back from a long weekend in Oakridge, Oregon — “the mountain biking capital of the Northwest”. Over five years ago I proclaimed (jokingly) that I wanted to move there and now I’m wondering why it’s taken me so long to return. Due to troubles finding a reliable wi-fi signal in Oakridge, I wasn’t able to post as many stories as I had hoped from Mountain Bike Oregon. I’ve put together a special coverage page and I just finished uploading and organizing all my photos. A welcome sight for mountain bikers. 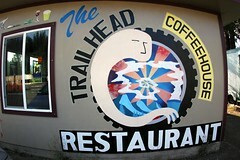 If Oakridge had an unofficial base camp for mountain biking adventurers, it would be The Trailhead. 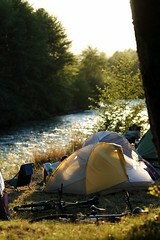 Middle Fork of the Willamette River. The quality of riding in Oakridge can be illustrated in many ways. 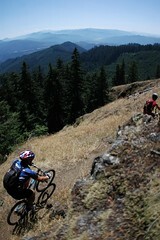 One of them is by the success of Mountain Bike Oregon. 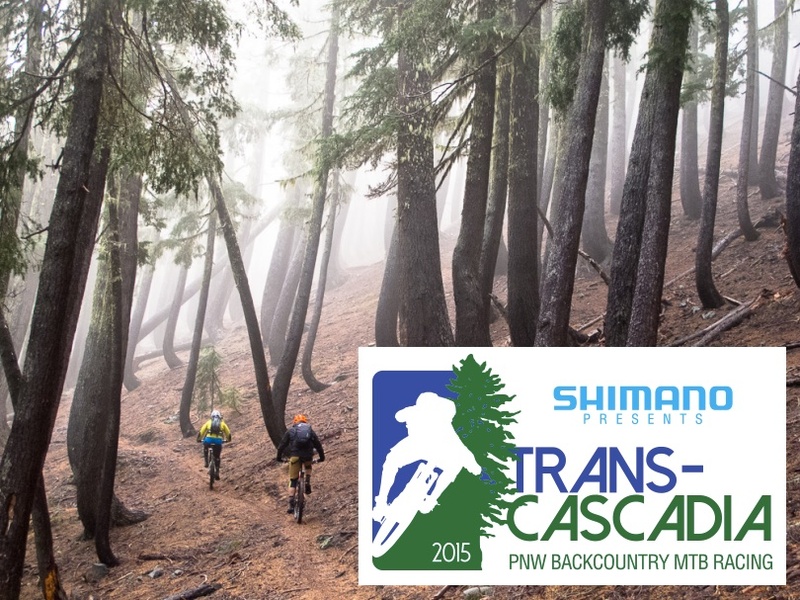 The first MTB Oregon was held in 2005 and was attended by 38 hearty soles. Founder Randy Dreiling says there were more guides than riders. It didn’t take long for word of the event to spread. Word of mouth, propelled by popular Internet forums like MTBR.com saw the next year’s attendance balloon to a sellout crowd of 300 riders. Riders came from 20 different states including as far away as Maine and Florida. Just finished my first day of riding down here at Mountain Bike Oregon in Oakridge. The trails are out of this world and my tent is set up mere feet from the rushing of the green-blue Willamette River (and just a few yards from the beer garden). I left Portland (very) early this morning, ate breakfast at camp, packed a lunch, then hopped on a yellow school bus full of other riders for 20 miles of some of the best singletrack I’ve ever ridden. We did a trail known as Alpine: about 20 miles, with 4,500 feet of descending on glorious, narrow, and perfectly maintained trails. Tonight I’m off to Oakridge, Oregon (“The center of Oregon recreation”) to take part in Mountain Bike Oregon. 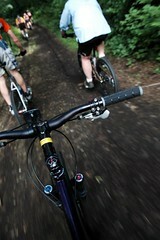 The event promises three full days of riding on what I’ve heard are some of the best trails anywhere in the country. I’ll join about 150 other folks at a rustic camp along the Willamette River and ride till our heart’s content (then talk about it every night over cold beer). My love affair with mountain biking began in 1995, but has been on hiatus since I moved to Portland three years ago. I can’t wait to get down there and rekindle the relationship. I hope the sparks still fly like they used to in the old days. Stay tuned for reports and photos from the trail.